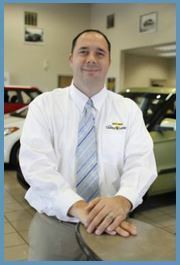 My name is Brad Zielinski, Sales/Finance Manager for Gurley Leep Kia. On behalf of Rich Crew, the General Manager, and myself I’m going to discuss a little bit about the Pulse brake system that we currently offer. First off, the reason we added Pulse is the overall safety for our customers. It’s an added benefit for them. But also obviously it has added additional profit for us along the way. One of the nice things is our sales staff took to it very well … especially when they realized some additional profit on their car deals, which gave them more in their paychecks.